People thinking about designing homes for aging in place probably think first of single-level living and accessibility. While those factors are important, it is not the only way to support an active senior lifestyle. Several houses on the 2018 Homes by Architects Tour provide a glimpse into what giving empty nesters ways to age in place, in style, can look like in a modern home. Home 7 is a modern, glassy oasis in Deephaven, which allows the homeowners to preserve their active lifestyle and take full advantage of the lakefront and surrounding woods without sacrificing style. The design illustrates how accessible entry and departure points can be designed without sacrificing a modern aesthetic. 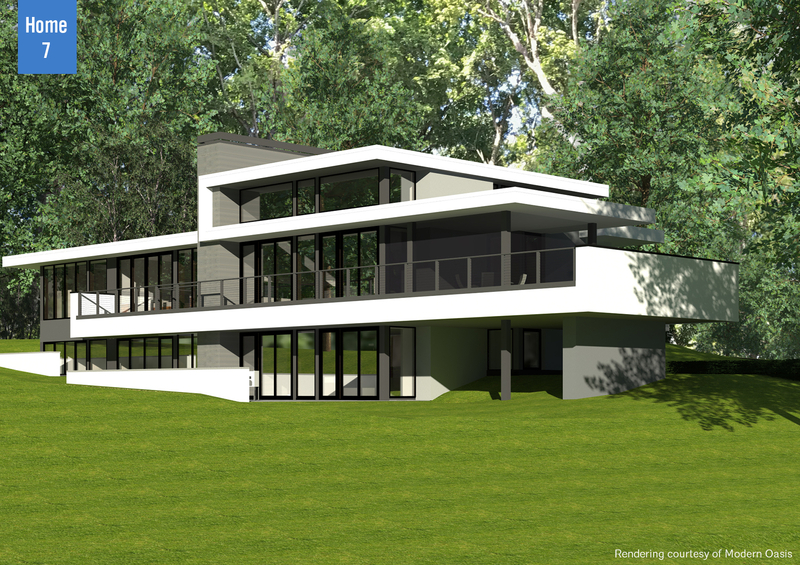 Home 15 is another contemporary design that takes full advantage of its site, which in this case, is located near the Harriet Island Bandshell. Owners take advantage of the lakes district walking and biking trails and are just minutes away from all that downtown Minneapolis has to offer. The home is a beautifully designed example of what urban living for seniors can look like. Home 19 gives the empty-nester owners a downsized floor plan that embraces panoramic lake views. Designed for long-term beauty, efficiency, and durability, this Princeton home uses continuous bands of light to track the seasons and let the environment in. Tickets to the 11th annual Homes by Architects Tour go on sale August 3. Learn more at homesbyarchitects.org. The 2018 tour is supported by Marvin Windows & Doors, White Oaks Savanna, Elevation Homes, Streeter & Associates, Braden Construction, Brooke Voss Interior Design, Ferguson, Kolbe Gallery Twin Cities, Mercury Mosaics, Ortal, Twin City Fireplace & Stone Co., Stinson Builders, Braaten Creative Woods, Frost Cabinets, HabAdapt Landscape Design, Martha Dayton Design, Martha O’Hara Interiors, Muska Lighting, Norton Homes, Redpath Constable Interior Design, Showcase Renovations, Bunkers & Associates, Studio M Interiors, TS Building Supply, Garage Floor Coating of Minnesota, and media partner Greenspring Media.